A surprise I'll never forget! and says pack for NYC. I could hardly believe it when we flew over Manhattan island and saw all the buildings, it just went on and on. Then we got a shuttle to Grand Central Station which is beautiful inside and started walking to the WALDORF HOTEL. Then I started really freaking out, because there is no way we can afford the Waldorf, I kept asking if he won this trip and the little stinker wouldn't say a word. Then as Chris is standing in line to check in, I see my brother-in-law Jon, walk across the lobby. I bolted out of my seat and ran to hug him then immediately asked where's Michelle?, just then she hugs me from behind. Who could not cry with that kind of a surprise. Jon had to come to New York for some seminar and him and Chris pulled off this wonderful surprise for their wives. How awesome are they! This picture is of us on a huge billboard in Times Square! It was the American Eagle store board and all you had to do was go in and buy something, then they would take your picture and post it on their huge billboard outside. 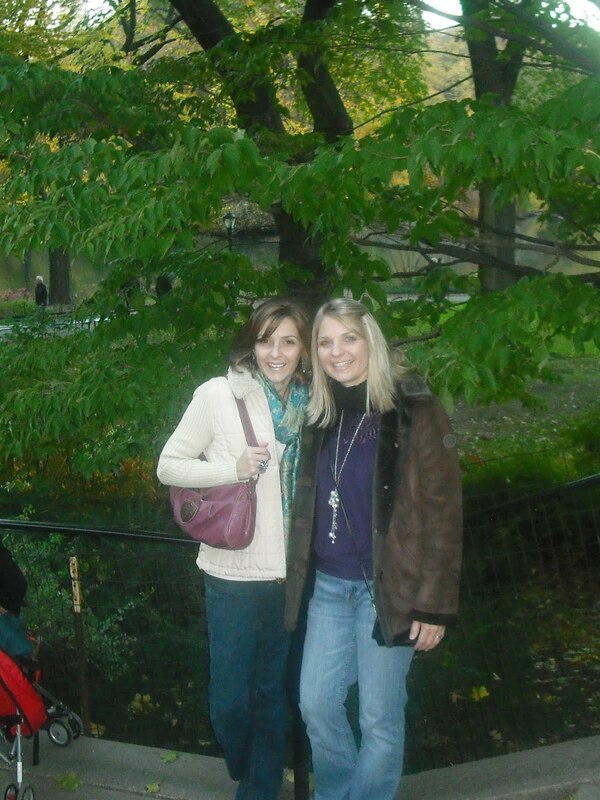 Michelle and I in Central Park. It was so much fun to be able to spend that time with my husband, sister and bother-in-law. I loved it all. We saw the Statue of Liberty and Times Square, saw a show on Broadway (Mary Poppins! ), Central Park, visited WTC, toured through some amazing old churches and ate some delicious food. Thank you Chris for doing this for me. I love you. I never was able to pull all the kids together for a Halloween picture. Man O' Man it gets crazy around here trying to come up with so many costumes. Then on top of that the kids have "Book Character Day" at school. The children get to bring in their favorite book and dress up like the main character of the book and they conveniently do it the day of Halloween. Usually it's great except, this year my two oldest did not want to bring in or could even find a book on the Mario and Luigi Brothers, which was their Halloween costumes. So overall I had to come up with 7 costumes. CJ and Cade came up with the idea of doing a Frankenstein pumpkin. They are so much more imaginative than I am. We had a blast thinking of how to pull this off. I'm pretty proud of our finished pumpkin. It was such a treat to have my sister Lori and her family come and visit all the way from Arizona! We took them up to Amicalola Falls so they could see what Fall looks like, you don't get that in Arizona. 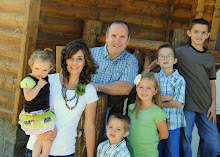 The morning we were getting ready to go, Lori called out "wear your red shirts" thinking only her kids would listen. I didn't realize until we got there that my three oldest assumed they had to put on red shirts as well. My favorite picture of Lori and I.
I love this picture of the kids, they are so cute. My kids had a blast having their cousins come and stay. I was so sad to see them leave. Thank you Crook family for making the effort. We love you guys. Double Rainbow All the Way!